'Sketches' is a unique book compiled from 60 years of Kaplicky's hand drawn sketches. These illustrations look so rare in todays digital world, their primitive, simple style is striking and full of character when compared to the far more clinical style a computer produces. They almost look as though they are quickly scribbled down as an idea has just been realised. The book consists of initial, very rough sketches and ideas, to more developed whole buildings or detailed, single elements. 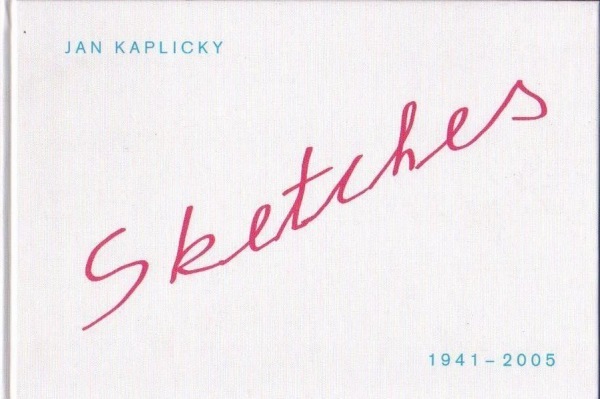 It is a very intimate experience to look through Kaplicky's sketches in this way, showing his chain of thought and private workings, most of which have never been made. The book is almost like a diary or log book in which the artist has developed over his lifetime and makes it feel very personal to the reader. Prague, 29.7cm x 21cm, illustrated, 238pp, hardback.